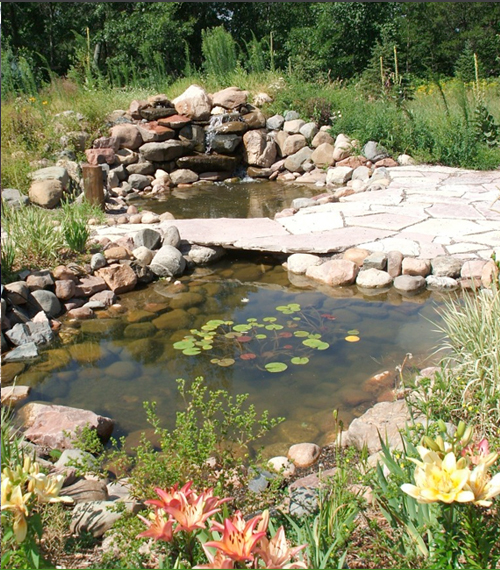 Our family business is your most reliable landscaping services company in the Twin Cities/Western WI area. Meyer Landscaping Services has over 20 years of experience in residential and commercial landscaping. 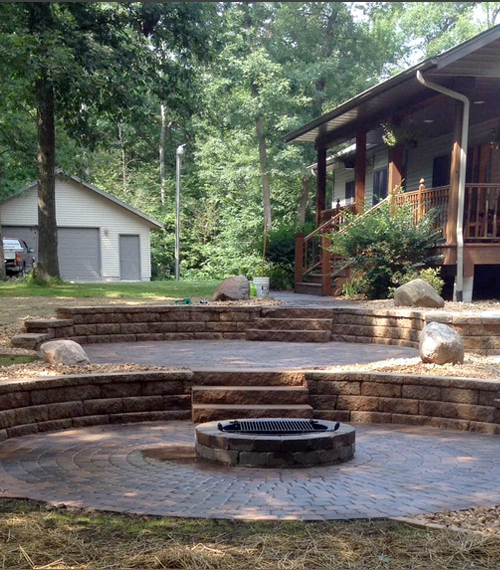 Create your dream landscape today with Meyer Landscaping! We specialize in a broad range of landscaping techniques and work hand-in-hand with our customers to bring you the landscape of your dreams. Do you have an idea of the perfect patio or garden? Have you ever wished that the landscaping in your front yard stood out among the other homes in your neighborhood? Share with us your ideal vision for your property, and we would be happy to offer you a 100% risk-free quote. Maybe you are the type who knows that something should be done with your residential landscape, but you don’t know what would look the best and work with the contours of your property. One of the many benefits of working with an experienced landscape company is that we have seen thousands of different designs and can offer you some assistance. 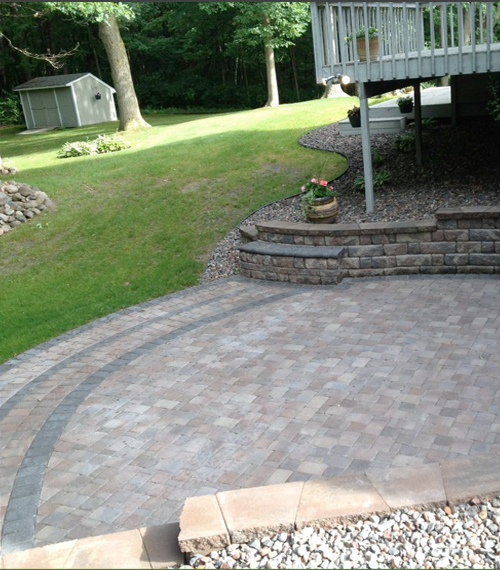 With our wide variety of skills, we can build your dream patio or lay a brick driveway. Another option is plant and design landscapes for a nice presentation of your trees and shrubs. When it comes to creating a garden, we can make the steps and walkways as one-with-nature as possible by using natural stones. Erecting a beautiful retaining wall can help to build structure and give contrast to your landscape. The addition of a retaining wall can also help you to level out sloped areas, so that they are more easily accessible. Serving the Twin Cities, Amery, Osceola, Hudson, New Richmond and western Wisconsin for over 20 years. 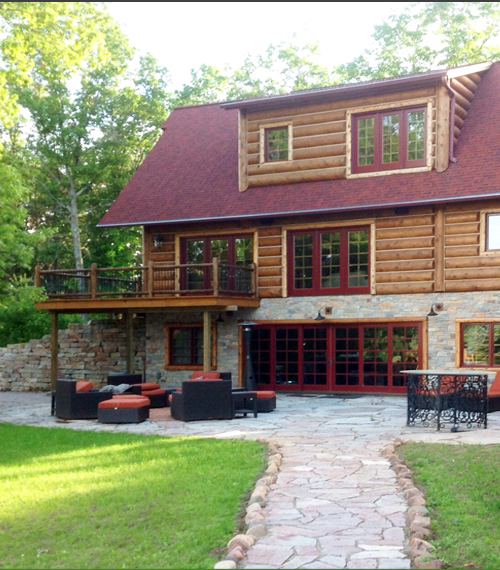 When looking for a landscaping services company near the Twin Cities, Amery, Osceola, Hudson, New Richmond or western Wisconsin, consider using an experienced team to come in and do the dirty work of building your dream. Meyer Landscaping Services has over 20 years of reputable reputation in the area for creating quality and beautiful landscaping.